Founded in 1976, SIH Brackets Ltd. is a manufacturer and distributor of high quality utilitarian items at affordable prices. The company is privately owned. 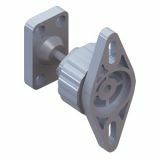 SIH manufactures a broad range of wall and ceiling mounts for CRT & flat screen TV's, home entertainment units, projectors, audio and video accessories. SIH has been in the mounts business for over than 15 years, and has a proven track record for success in the retail market. We are a long-established Israeli company with highly-skilled staff. Currently we sell to over 3,500 stores worldwide and strive to keep ahead of market needs and trends. We provide all the services any retailer needs including EDI, professional customer service, and a warehouse with a 100% on-time performance record. 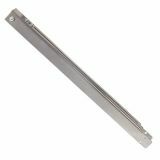 SIH exclusive products are designed with an emphasis on easy assembly and mounting. The assembly instructions contain step-by-step, simple instructions in the form of illustrations. Each package includes a mounting accessory kit. We offer all our products in an attractive full-color gift package. TV Wall Mount Stand 254, 42", tilt, swivel, pivot, fold TV Wall Mount Stand for LCD/LED/Plasma model 254 up to 42" (106 cm), 15° tilt, left and right swivel, pivot and fold. TV Wall Mount Stand 253, 42", tilt, swivel, pivot TV Wall Mount Stand model 253, for LCD/LED/Plasma up to 42" (106 cm), 15° tilt, left and right 270° swivel and 170° pivot and extended shaft. List Price: 56.90лв. VAT Incl. TV Wall Mount Stand 153E, 32", tilt, swivel, pivot TV Wall Mount Stand for LCD/LED/Plasma model 153E up to 32" (81 cm), 15° tilt, left and right swivel and 180° pivot and extended shaft. TV Wall Mount Stand 154E, 32", tilt, swivel, pivot, fold TV Wall Mount Stand for LCD/LED/Plasma model 154E up to 32" (81 cm), 15° tilt, left and right swivel, pivot and fold. TV Wall Mount Stand 252, 42", tilt, swivel TV Wall Mount Stand for LCD/LED/Plasma model 252 up to 42" (106 cm), 15° tilt and left and right swivel. TV Wall Mount Stand 450, 50", fixed TV Wall Mount Stand for LCD/LED/Plasma model 450 up to 50" (127 cm), fixed mounting. TV Wall Mount Stand 451, 50", tilt TV Wall Mount Stand for LCD/LED/Plasma model 451 up to 50" (127 cm) and 15° tilt. 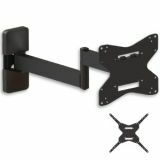 TV Wall Mount Stand 152E, 32", tilt, swivel TV Wall Mount Stand for LCD/LED/Plasma model 152E up to 32" (81 cm), 15° tilt and left and right swivel. TV Wall Mount Stand 701M2, 65", tilt, with Anti Theft Device TV Wall Mount Stand for LCD/LED/Plasma model 701M2 up to 65" (165 cm) and 20° tilt with Anti Theft Device. 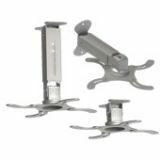 Projector Mount Stand PM3 Combo 3IN1 TV Ceiling/Wall Mount Stand for projectors model PM3 with up to 20° tilt and 360° rotation and 4 support arms. 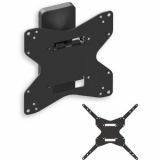 Projector Mount Extension PMS, 50cm Projector Mount Extension PMS up to 50 cm for Projector Ceiling Mount Stands models PM and PM3. 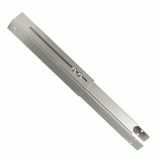 Projector Mount Extension PML, 100cm Projector Mount Extension PML up to 100 cm for Projector Ceiling Mount Stands models PM and PM3. 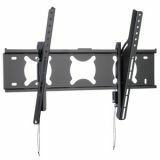 TV Wall Mount Stand 254E, 42", tilt, swivel, pivot, fold Wall mount for LCD / LED / Plasma TVs up to 42 "(106 cm), 254E model with a slant of up to 15 °, left and right rotation, double hinged connection and a bent, elongated shoulder allowing for folding. TV Ceiling Mount Stand 259E, 42", tilt, pivot TV Ceiling Mount Stand for LCD/LED/Plasma model 259E up to 42" (106 cm), 15° tilt and 360° pivot. TV Wall Mount Stand 401M2, 50", tilt, with Anti Theft Device TV Wall Mount Stand for LCD/LED/Plasma model 401M2 up to 50" (127 cm) and 20° tilt with Anti Theft Device. Quick connection and safe installation. List Price: 94.90лв. VAT Incl. 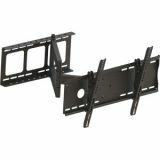 TV Wall Mount Stand 251E, 37", tilt TV Wall Mount Stand for LCD/LED/Plasma model 251E up to 37" (94 cm) and 25° tilt. TV Wall Mount Stand 250, 37", fixed TV Wall Mount Stand for LCD/LED/Plasma model 250 up to 37" (94 cm) and fixed mounting. TV Wall Mount Stand 754, 65", tilt, swivel, pivot, fold TV Wall Mount Stand for LCD/LED/Plasma model 754 up to 65" (165 cm), 15° tilt, left and right swivel, pivot and fold. TV Wall Mount Stand 150E, 26", fixed TV Wall Mount Stand for LCD/LED/Plasma model 150E up to 26" (66 cm) and fixed mounting.